We know the effect of passing white light through a prism and seeing the color spectrum that comes out of the other side. It will not be noticeable to the naked eye, but that rainbow does not fully span the range of [Roy G. Biv]. There are narrowly absent colors which blur together, and those missing portions are a fingerprint of the matter the white light is passing through or bouncing off. Those with a keen eye will recognize that we are talking about spectrophotometry which is identifying those fingerprints and determining what is being observed and how much is under observation. The device which does this is called a spectrometer and [Justin Atkin] invites us along for his build. Video can also be seen below. Along with the build, we learn how spectrophotometry works, starting with how photons are generated and why gaps appear in the color spectrum. It is all about electrons, which some of our seasoned spectrometer users already know. The build uses a wooden NanoDrop style case cut on a laser engraver. It needs some improvements which are mentioned and shown in the video so you will want to have some aluminum tape on hand. The rest of the bill of materials is covered including “Black 2.0” which claims to be the “mattest, flattest, black acrylic paint.” Maybe that will come in handy for other optical projects. It might be wise to buy first surface mirrors cut to size, but you can always make bespoke mirrors with carefully chosen tools. Instrumentation has progressed by leaps and bounds in the last few years, however, the fundamental analysis techniques that are the foundation of modern-day equipment remain the same. A network analyzer is an instrument that allows us to characterize RF networks such as filters, mixers, antennas and even new materials for microwave electronics such as ceramic capacitors and resonators in the gigahertz range. In this write-up, I discuss network analyzers in brief and how the DIY movement has helped bring down the cost of such devices. I will also share some existing projects that may help you build your own along with some use cases where a network analyzer may be employed. Let’s dive right in. As a conceptual model, think of light hitting a lens and most of it going through but part of it getting reflected back. 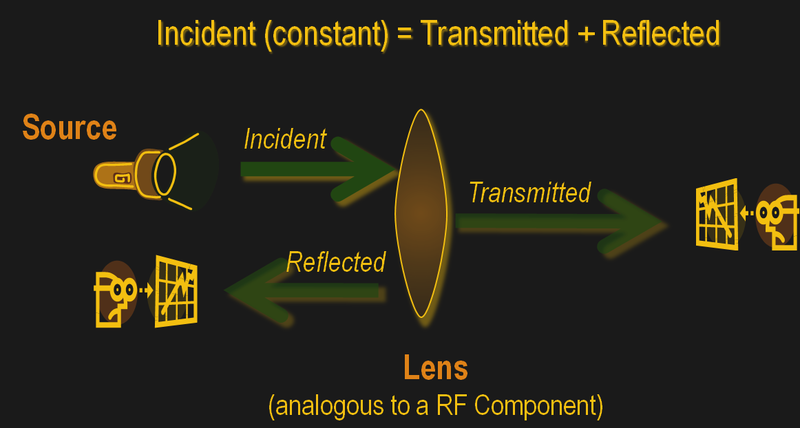 The same applies to an electrical/RF network where the RF energy that is launched into the device may be attenuated a bit, transmitted to an extent and some of it reflected back. This analysis gives us an attenuation coefficient and a reflection coefficient which explains the behavior of the device under test (DUT). Of course, this may not be enough and we may also require information about the phase relationship between the signals. Such instruments are termed Vector Network Analysers and are helpful in measuring the scattering parameters or S-Parameters of a DUT. The scattering matrix links the incident waves a1, a2 to the outgoing waves b1, b2 according to the following linear equation: . The equation shows that the S-parameters are expressed as the matrix S, where and denote the output and input port numbers of the DUT. This completely characterizes a network for attenuation, reflection as well as insertion loss. S-Parameters are explained more in details in Electromagnetic Field Theory and Transmission Line Theory but suffice to say that these measurements will be used to deduce the properties of the DUT and generate a mathematical model for the same. As mentioned previously, a simple network analyzer would be a signal generator connected and a spectrum analyzer combined to work together. 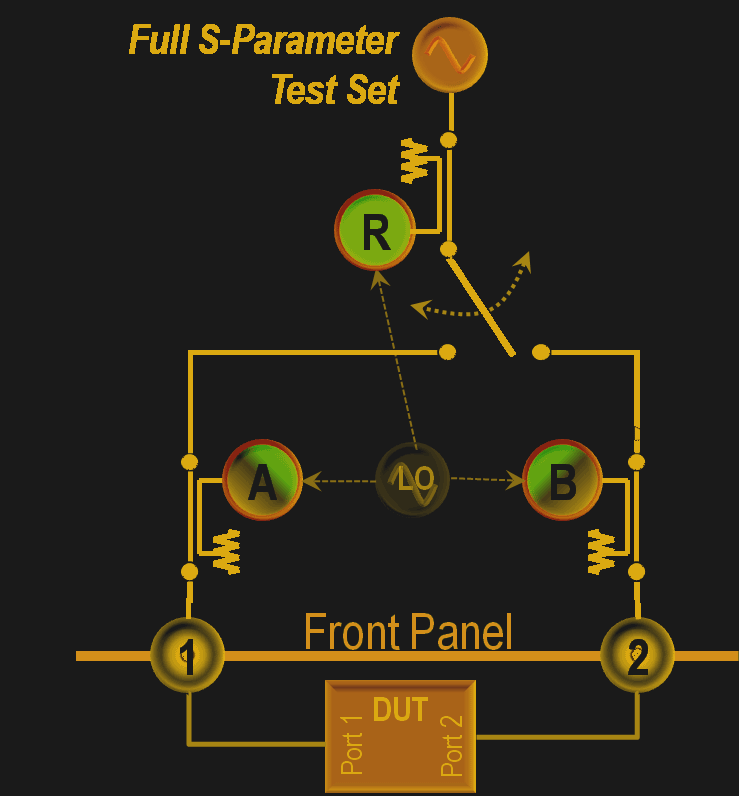 The signal generator would be configured to output a signal of a known frequency and the spectrum analyzer would be used to detect the signal at the other end. Then the frequency would be changed to another and the process repeats such that the system sweeps a range of frequencies and the output can be tabulated or plotted on a graph. In order to get reflected power, a microwave component such as a magic-T or directional couplers, however, all of this is usually inbuilt into modern-day VNAs. A bunch of people who share a large workshop and meet on a regular basis to do projects and get some input. A place where kids can learn to build robots instead of becoming robots. A little community-driven factory, or just a lair for hackers. The world needs more of these spaces, and every hackerspace, makerspace or fab lab has its very own way of making it work. Nevertheless, when and if problems and challenges show up – they are always the same – almost stereotypically, so avoid some of the pitfalls and make use of the learnings from almost a decade of makerspacing to get it just right. Let’s take a look at just what it takes to get one of these spaces up and running well. The workbench. We’re always looking for ways to make the most out of the tools we have, planning our next equipment purchase, all the while dealing with the (sometimes limited) space we’re allotted. Well, before you go off and build your perfect electronics lab, this forum thread on the EEVblog should be your first stop for some extended drooling research. Here’s some links that you might find handy when setting up a lab. [Kenneth Finnegan] has a great blog post on how his lab is equipped. And [Dave Jones] of the EEVblog has a video covering the basics. One of the beautiful things about getting started in electronics is that used and vintage equipment can really stretch your dollars when setting up a lab. So if you’re looking into some vintage gear, head on over to the Emperor of Test Equipment. Of course no thread about workbenches would be complete with out a mention of Jim Williams’ desk. We’ll leave the discussion about workbench cleanliness for the comments. In a two-part series called “PS3 Fab-to-lab” on IBM’s awesome developerWorks website, [Lewin] explains how to use the Cell Broadband Engine in a PS3 to create an audio-bandwidth spectrum analyzer and function generator. The set up consists of Yellow Dog Linux, an NTSC television, and an external USB sound card to provide the inputs of the spectrum analyzer and the outputs of the function generator. The sound card driver is written to simply capture or send the info in question (audio range only) and the NTSC television as the graphical interface. This hack involves a lot of coding with hardly any example code provided. The article is more of a guide than anything. If anyone gets this working, let us know!